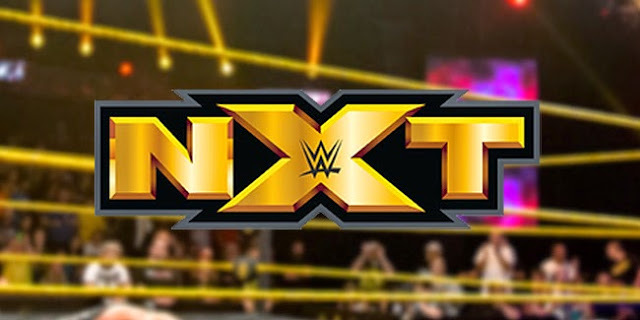 Fresh off a successful TakeOver: Orlando at WrestleMania weekend, NXT returns to Full Sail for another round of tapings! Change is in the air as some of its biggest talents have made the jump to RAW and SmackDown as part of the post-WrestleMania madness, which means we've got some holes to fill. Shinsuke Nakamura, The Revival and Tye Dillinger have all shown up on the main shows this week, so let's take a look at who rises up for the challenge in NXT. Aleister Black def. Corey Hollis. Tye Dillinger vs. Eric Young in a steel cage is announced for a later episode. DIY (Johnny Gargano and Tommaso Ciampa) def. Dylan Miley and another wrestler. Miley attacked his partner after the match. Andrade 'Cien' Almas def, Danny Burch. Drew McIntyre def. Oney Lorcan. Notably, McIntyre did not come out to his old "Broken Dreams" theme song. Shinsuke Nakamura gave a farewell speech to NXT. The NXT roster (with Finn Balor and Triple H) then came out to congratulate him. Thoughts: He's baaaaaack! Drew McIntyre looks like he means business in his return to WWE, so let's not hope he ends up back in 3MB or something. It's a shame that they didn't give him his old theme back, but hopefully whoever decides this has a change of heart down the line. Elsewhere, Nakamura's farewell speech is a nice way to cap off his NXT run, and we can't wait to see what he does in SmackDown Live and the land of opportunity. NXT Tag Team Champions The Authors of Pain (Akam and Rezar) def. Kassius Ohno and Roderick Strong in a non-title match. Jeet Rama def. John Skylar. NXT Champion Bobby Roode came out to cut a promo, but was attacked by a returning Hideo Itami! WWE United Kingdom Championship Match: Tyler Bate (c) def. Gentleman Jack Gallagher to retain the championship. Thoughts: Roode's beaten one Japanese superstar, so here comes another! Hideo Itami is an intriguing name to pop up given that most people were expecting Kassius Ohno (who seems to have taken over No Way Jose's spot in the war against SAnitY) to be the next feud, but this is something worth getting behind. If so, they've wasted no time getting him back on track, and there's a very good chance he could be your next NXT Champion. Imagine the pop at TakeOver: Chicago when he hits that Go 2 Sleep. Meanwhile, the UK Championship continues to feature every now and then on NXT, because they're still homeless for the time being. At least this time it's something new with 205 Live's favorite gentleman challenging for the belt. It's a promising match between a current PROGRESS standout and a former one, so look for that when it airs. Aliyah and Liv Morgan def. Billie Kay and Peyton Royce. Nikki Cross came out and brawled with Ruby Riot. Drew McIntyre def. Andrade 'Cien' Almas. Steel Cage Match: Tye Dillinger def. Eric Young. SAnitY (Alexander Wolfe and Killian Dain) tried to interfere, but were stopped by Kassius Ohno and Roderick Strong. Afterwards, Dillinger locked SAnitY in the cage! Thoughts: This was said to be Dillinger's swan song at Full Sail, and there's really no better way to send him off. Having him finally close a feud with a win is brilliant, and gives him momentum as he begins his career on the main roster. Unfortunately, Almas seems to be stuck in that role of the guy who loses to the new big name on the block, losing once again to the returning Drew McIntyre. At least Aleister Black continues to murder people left and right, and if that continues it's easy to see him as the next guy in line for a shot at the NXT Championship. It seems like we've got some semblance of a direction heading into TakeOver: Chicago. It's likely going to be Bobby Roode vs. Hideo Itami for the championship, with Aleister Black and Drew McIntyre as the guys being built up with win for the next big feuds. Everything else is less clear after that, but look to NXT's backstage segments (which aren't really covered in tapings, of course) when they air to paint a better picture. One notable absence, though, is NXT Women's Champion Asuka. That just means her undefeated streak gets to continue for now, since you obviously can't lose it if you're not in matches. Latest championship challenger Ember Moon is also absent. Are you excited to watch the next couple of episodes of NXT? Let us know your thoughts in the comments section below!